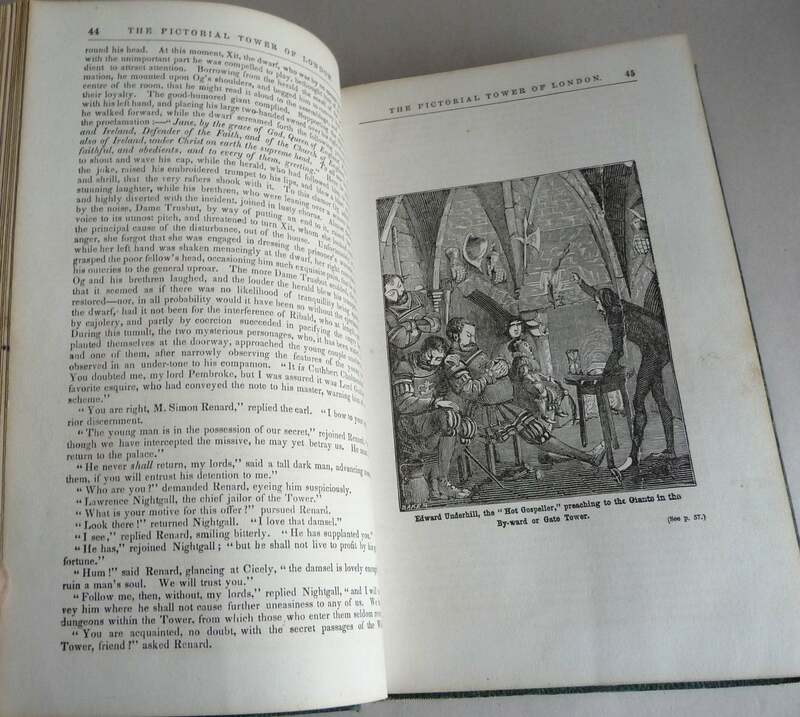 Description: Book is heavily worn at head and tail of spine. Cloth is torn at upper front spine edge. Corners are worn. Pages are clean and binding is tight. 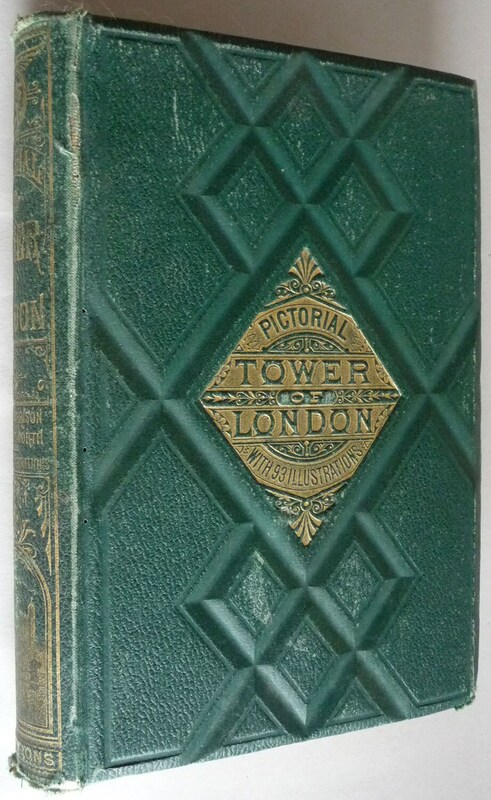 Beautiful green decorative embossed design on cover. Gold gilt title on spine and front cover. 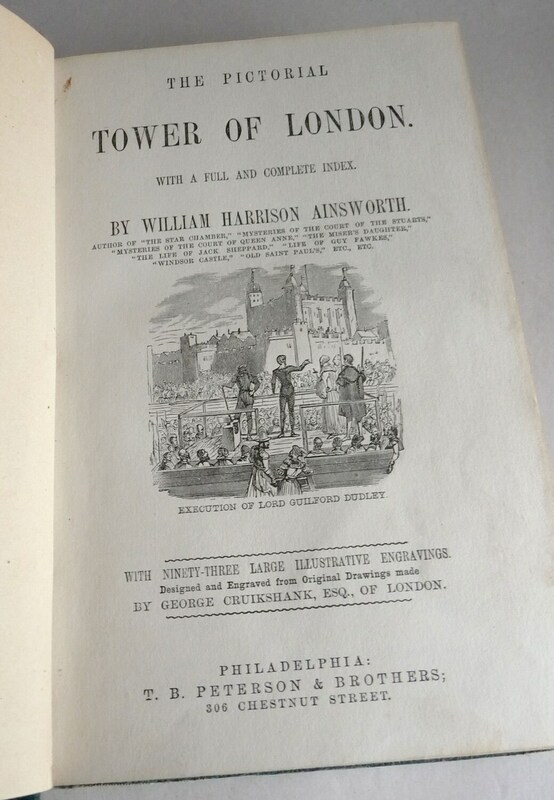 Has 93 etchings depicting Tower activities. Year: No date given; ca. 1870's.